The salsa dance apparently has no place in the Midway. 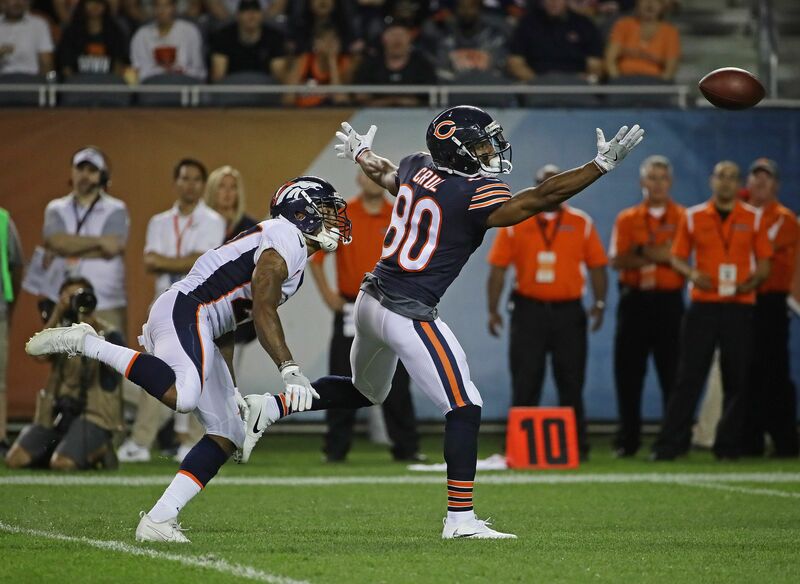 Veteran wide receiver Victor Cruz has been reportedly cut the by the Chicago Bears on Friday evening. After six seasons over seven years with the New York Giants, veteran wide receiver Victor Cruz saw his time in Gotham come to an end this winter. Cruz has been dealing with nagging injuries the last two years and it was time for the Giants to move on from their former Pro Bowl wide receiver. The former standout for the UMass Minutemen opted to sign with the reeling Chicago Bears in 2017 NFL free agency. While he is a popular player for his salsa dances in the end zone after touchdowns and his great work in the community, Cruz apparently does not have a place with the 2017 Bears. According to Art Stapleton of USA Today Sports, the Bears are parting ways with the former Giants standout wide receiver. Could this be it for Cruz’s once-promising NFL career? From 2011 to 2013, Cruz was one of the best No. 2 wideouts in all of football. He had a breakout season for the Giants in 2011, the year New York won its fourth Lombardi Trophy. The next season, Cruz would make his lone trip to the Pro Bowl. 2011 to 2013 had Cruz with almost 1,000 receiving yards in all three seasons. He missed out on doing it in 2013 by two yards. Missing two games that season is what ultimately did him in from achieving the feat a third time. However, since 2013, it has been a pure struggle for Cruz. He has less than 1,000 receiving yards combined since that 2013 NFL season. Keep in mind that Cruz missed the entire 2015 NFL season due to injury. While the Bears are a rebuilding team, one would think that his veteran leadership would have helped John Fox’s young team in 2017. Chicago may be the worst team in the NFC entering the season, but the Bears are now doing so without Cruz.